Discovery is the key to any great vacation. That means the ability to see new countries, dive into different cultures & cuisines, and uncover hidden gems along the way. But a perfect trip should also mean relaxing exactly the way you want. That’s why Thrillist partnered with Norwegian Cruise Line to sail us to some of their many unique ports of call, so we can show you how to tackle your best day trip. 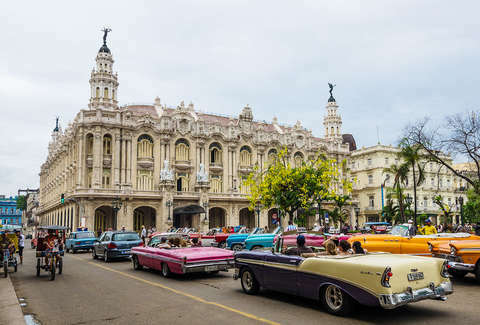 And whether you’re visiting Havana’s Museo Nacional de Bellas Artes, or experiencing farm-to-table foods from Mediterráneo Havana, cruising with Norwegian means you always come home to amazing food, entertainment, and accommodations to recharge for the discoveries to come. If you’re going to explore Old Havana, do it the same cheesy, traditional way every other tourist does: in a bright, museum-worthy car. The Havana we all see in pictures, “Habana Vieja,” is a UNESCO World Heritage Site. Here, local tour guides will drive you down the Malecón esplanade, past the Capitol building and the famous Plaza de la Revolución, through Avenida del Puerto, past Plaza de la Dignidad (which pays homage to Elian Gonzalez' return to Cuba), and in and around other famous Havana sites in something as classic as the location itself -- like a vintage Oldsmobile, a Chevy convertible, a Ford, a Buick, or even a pastel-colored Chrysler. Cuban cigars are a Cuban icon, and you can only go to Cuba to get the real thing. But before you smoke them, find out how they’re made. 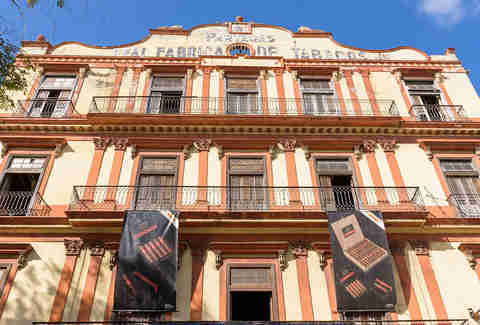 The Partagas factory -- where 400+ employees roll 20K cigars a day -- is the largest Cuban cigar factory in Cuba (or anywhere), and it hosts guided tours that put you right in the heart of the action. For a real local experience, follow your tour with a stop at Casa Abel, a popular bar, restaurant, and cigar lounge that’s just a short walk away. Run by Jose Abel Espósito Díaz, who rolled cigars at Partagas for almost 20 years, Casa Abel invites you to indulge in the pastime like you were meant to: in a comfortable cigar lounge, with a glass of rum and the “puros,” or cigars, of your choice. Whether they bring back happy memories of your family getaway to the Bahamas, or flashbacks of that college spring break trip, one thing’s for sure: daiquiris are timeless. The original was invented at a restaurant called El Floridita, in Havana. While frozen versions flavored with sugary strawberry mixes seem to be the daiquiri of the day, the original only had three ingredients -- rum, lime, and sugar. 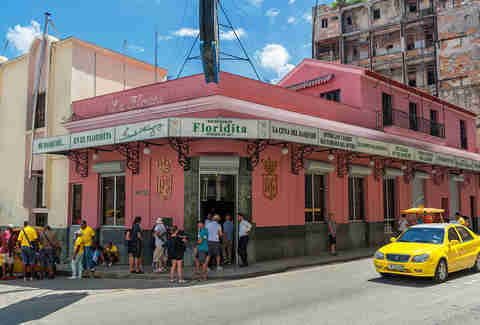 If you only have one day in Havana, take your afternoon sightseeing break at El Floridita, where you can try the original with a twist: a little Maraschino cherry liqueur. If you didn’t put your trip on Instagram, did you even go? Lucky for you, Cuba makes Instagramming your every envy-inducing adventures easy to do -- especially when you go to Fusterlandia. A rundown neighborhood-turned-street art sensation, Fusterlandia was the invention of local artist Josée Fuster, who moved into a wooden home in that area (then called “Jaimanitas”) in 1975, and out of pure boredom, covered his art studio in mosaic tiles and turned it into a work of art. Inspired by the result, Fuster wanted to do to all of Jaimanitas what Gaudi did to Barcelona. 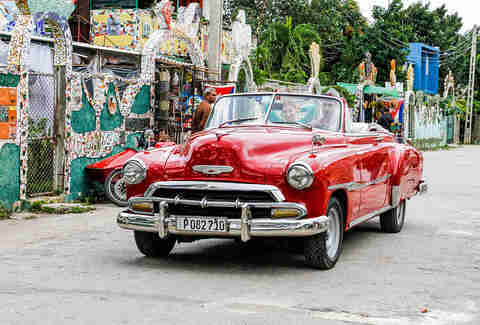 After getting the green light from his neighbors, Fuster got to work and created what is now one of Cuba’s gems. Just 20 minutes outside of Havana, every structure in the neighborhood of Fusterlandia is completely covered in colorful mosaic tiles, from doctors’ offices, bus stops, and fountains, to benches, gateways, and yes, even houses. It’s like Fuster knew Instagram would be a thing. 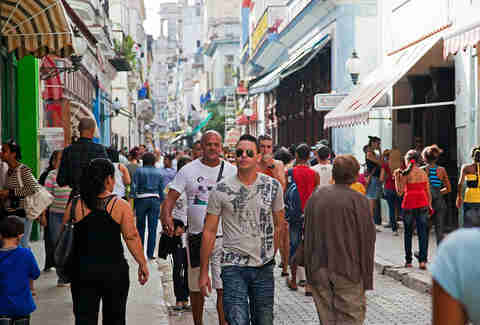 Every trip calls for shopping, and in Havana, Calle Obispo (which means “Bishop's Street”) is where you go to do it. Dating back to 1519, and created just four days after Havana was founded, this pedestrian-only street is covered with restaurants, local boutiques, cigar shops, bars bursting at the seams with live music, locals posing for photos with tourists, art galleries, and La Bodeguita Del Medio, the place where the mojito was invented. The latter is famous for being both a major Hemingway hangout and dirt cheap, so go in and get an original mojito (literally) for $5. For a real taste of Cuba, eat in a Cuban home. But because bursting into a Cuban home is probably frowned upon, the best way to do it is to dine in a “paladar,” a converted Cuban home that now holds a family run restaurant. You won’t have to walk far to find one; they’re everywhere. 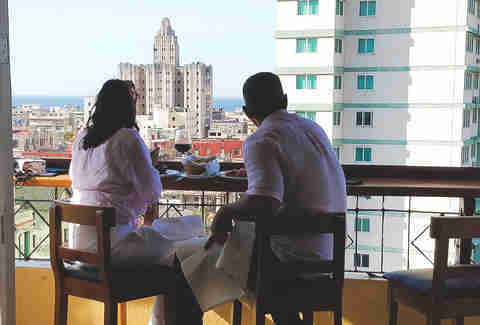 Get your fix of the Cuban classics -- like ropa vieja, moros, rice, fried plantains, flan, and more -- in popular paladars like Nao Bar, the celebrity-favored La Guarida Cafe, and Laurent, which occupies a penthouse apartment on top of a classic 1950s building. As beautiful and interesting as Havana is, there’s so much more to Cuba that’s worth seeing, too. One such place is Soroa -- a reserve in the Sierra del Rosario mountain range -- known for its towering trees, birdwatching, 20K-plus different kinds of flowers, 350-plus types of orchids, the Salto de Soroa and Salto Los Manantiales waterfalls, crystalline pools perfect for swimming, the Medieval-style “Castle in the Clouds,” nearby coffee plantations, Roman baths, and the ecological town of La Rosita. 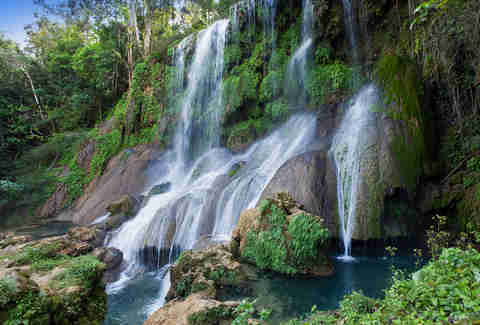 Adding to its fame, Sierra del Rosario is actually Cuba’s first UNESCO Biosphere Reserve, the highest part of the greater Cordillera de Guaniguanico range, and before it was a reserve, it was an artists’ colony. While you enjoy the area’s cooler weather, lack of crowds, unbelievable views, and Soroa’s most popular activity, bike riding, open art studios will remind you where this special spot came from. Jennifer Agress is a Miami-based food and travel writer who wishes she had better memories of daiquiris. Watch her drink them anyway by following @jenniferagress on Instagram.